Five slots from Microgaming will make the developer more popular this summer and even more elusive for the competition! Casino players will get a lot of new experiences, because Microgaming has announced the development of five new exciting slots in June. As always, the company from Isle of Man raises the bar due to the large diversity. Hound Hotel has 5×3 playing field with 25 payline and Wild symbols appearing on the non-winning spins at any time to ensure the win. With three or more scatter symbols a Hound Hotel bonus, a multi-tiered feature starts, which allows you to select a reward of five wild features (Expanding Wilds, Super Stacked Wilds and so on. ), five different bonuses (maximum 6x multiplier) and up to 30 free spins! Kitty Cabana has 5 reels, 3 lines and 25 paylines. There are patented by Microgaming Dashing Wilds symbols, which guarantee the wins. Three or more scatter symbols trigger the bonus Kitty Cabana, in which players can win up to 24 free spins and a 6x multiplier, among other five different special wild features. Pistoleras is a 5×3-slot with 25 paylines and a dangerous theme of the game set in the Wild West, which all the players like. As another example of a beautiful game, the slot offers to try to get valuable symbols on the reels and plenty of opportunities to win. There are up to 25 free spins that can be re-win by getting three or more scatter symbols. In addition, all wins triple in size with a 3x multiplier. The bonus feature is triggered by Scatter symbols on 3, 4 or 5 reels, opening up the Saloon Bonus, where players have to choose from three goals and match the symbols of Pistoleras for generous payments. The slot The Legend of Olympus™ is a 5-reel, 3-row, 20-payline slot developed by Rabcat. Here the players travel to Mount Olympus and fight on the side of Zeus against Hades. It is necessary to try to play this multi-slot with a two-stage bonus round and a free spins feature (max. 14)! Finally, in June, will also be presented the long-awaited Avalon HD. Being one of the most successful online slots of the company, it was modernized and recreated in high definition, with updated functionality to be able to re-make the players love this advanced game. 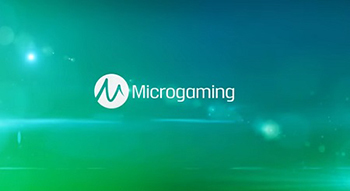 Microgaming said that all games go live on the download, Flash and Quickfire platforms on Wednesday 3rd June 2015 with the launch of mobile: Cashville, Fish Party, Kings of Cash and Summer Holiday. For trying the demo version of Microgaming Quickfire slot machine, come to our free slots page!